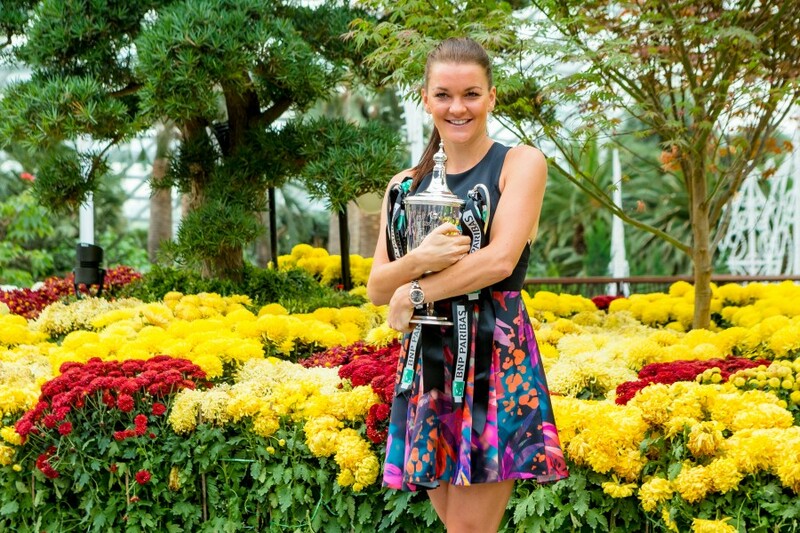 For Agnieszka Radwanska, her 10 days at the BNP Paribas WTA Finals Singapore was in many ways a microcosm of her year. 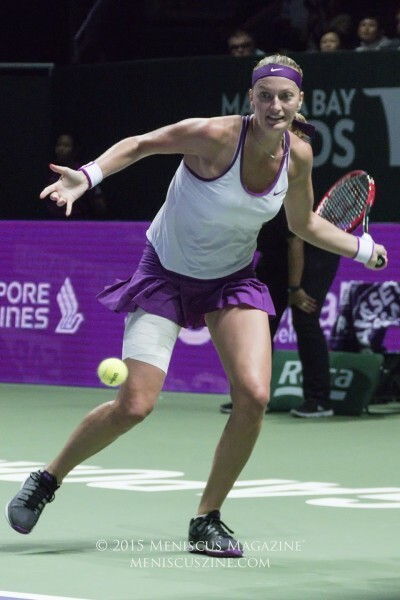 After stumbling in the beginning of the tournament with two losses in round robin competition to Maria Sharapova and Flavia Pennetta respectively, the 26-year-old Pole rebounded to defeat three Top 5 players: Simona Halep, Garbine Muguruza in the semifinals and Petra Kvitova in the final. 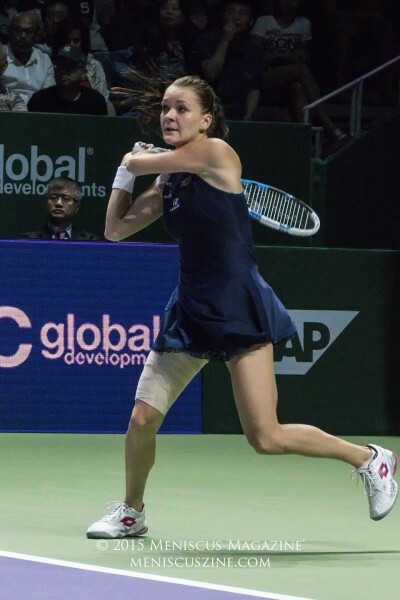 Considering that Radwanska started 2015 with a coaching arrangement with Martina Navratilova that fizzled after several months, followed by a slide out of the Top 10, her turnaround to reach the Wimbledon semifinals, the collection of two titles in Tokyo and Tianjin to qualify in the nick of time and – to boot – wearing the most talked about tennis dress on the WTA Tour reflected the same sequence of ebbs and flows that led to her successful denouement in Singapore. 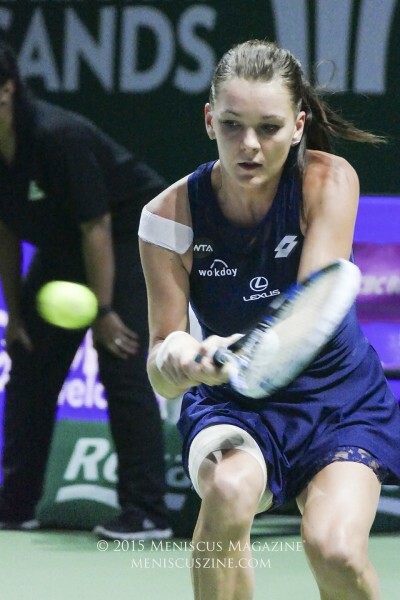 “I didn’t really expect this at all, especially the beginning of the year it was not great,” Radwanska said in her post-match press conference. “Doesn’t matter how you start, matters how you end,” she added. 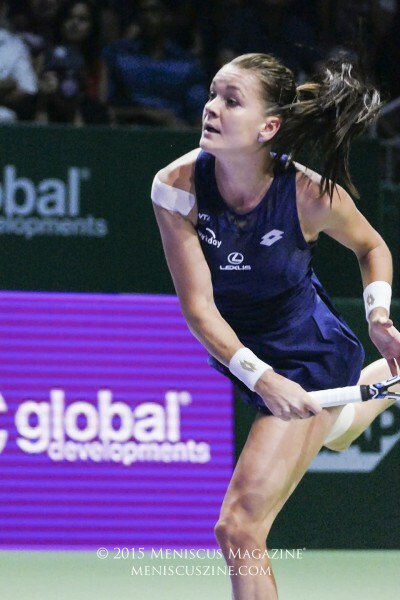 Nicknamed “The Professor” for her uncanny ability to defy gravity while seemingly retrieving every ball on the court, the 5’8″ Radwanska befuddled the 6’0″ Muguruza in a 6-7 (5), 6-3, 7-5 semifinal victory. 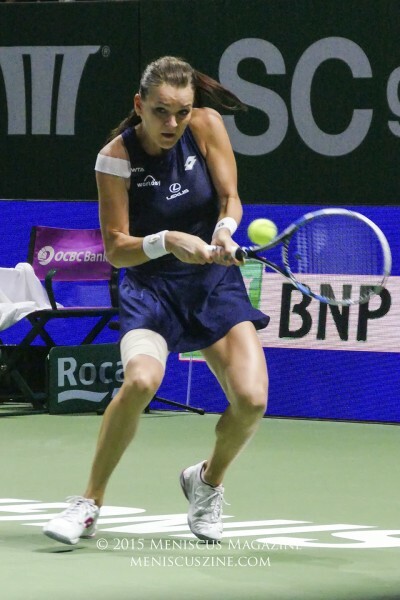 The lower Radwanska was able to bend her knees to the ground, the more her groundstrokes seemed to skim the net, stopping the Spaniard and 2015 Wimbledon finalist in her tracks in two hours, 38 minutes. 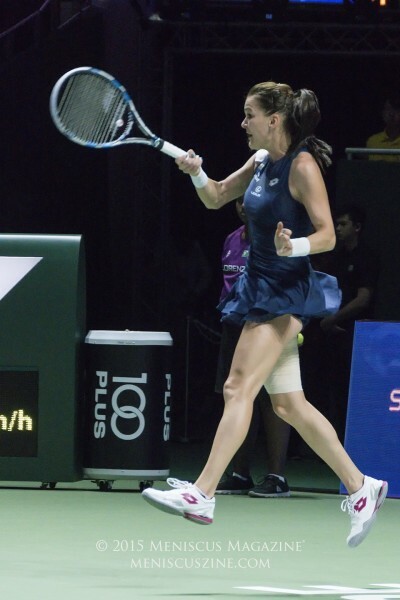 The win was Radwanska’s first against Muguruza in five attempts in 2015 alone. 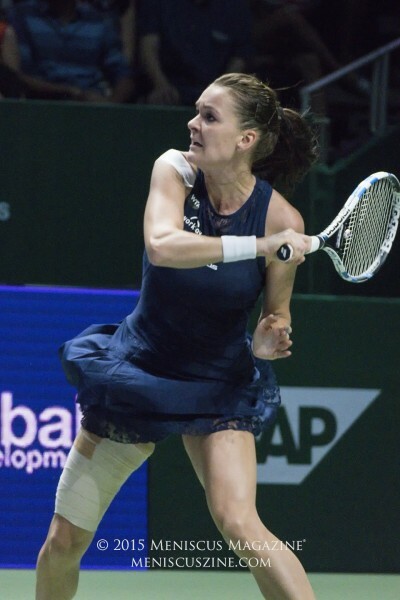 The next day, Radwanska found herself in a topsy-turvy final with plenty of momentum changes. Kvitova stormed back from a slow start, taking the second set after losing the first and being down a break. In the final set, Radwanska also found herself down a break, then stormed back to win, 6-2, 4-6, 6-3. She now shares a unique distinction with Sylvia Hanika (the 1982 champion): they are the only two year-end winners without a Grand Slam title.